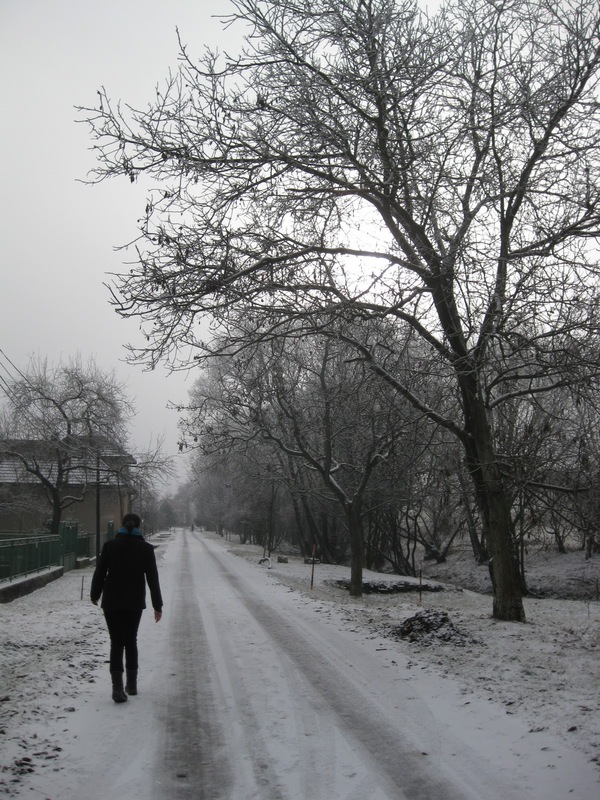 On Christmas we walked to Terezia's starka's (grandmother's) house for lunch. Terezia's starka lives in Tomasovce, which is the next village down from where her parents live, in Podrecany. You can walk between the villages via a dirt road that's used by farm tractors, which traverses some truly beautiful scenery (gently rolling hills, lush and tangled foliage, a meandering creek, etc.). In winter, when there's snow (even only a thin layer, as there was this year, which has been unusually warm) the path looks wonderfully atmospheric, and here are some photos to prove it. Going in for my "scanning".